By Urbannizer, December 31, 2015 in Going Up! 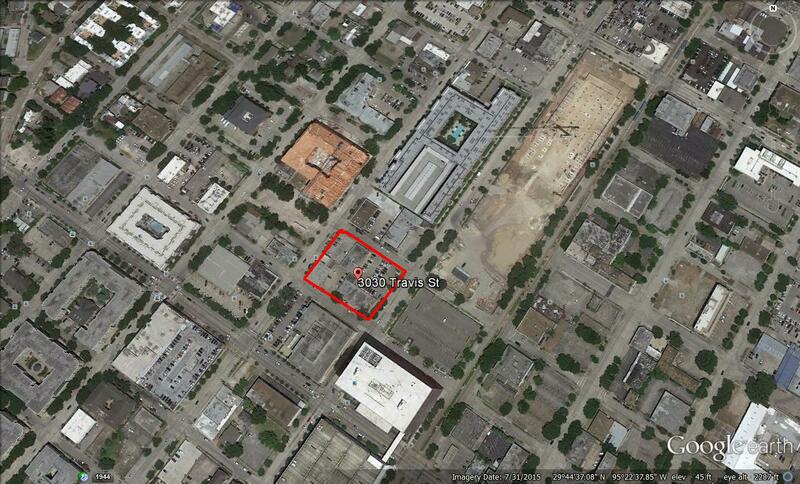 Looks like a residential high-rise is (well, more likely was) planned for 3030 Travis St. 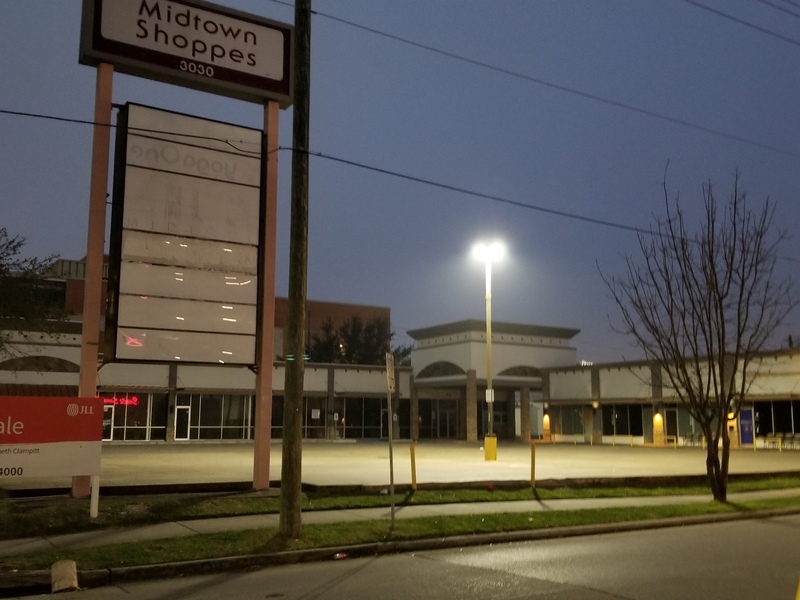 Sometime between Jan. 2015 and Aug. 2015 the owners removed all leasing information from the strip center that sits on the site. I was going to dump this in the Houston: Potential thread but there appears to be some intent to build here, just may happen later rather than sooner. Nice. Please build! Looks like Midtown is trying to start attracting high rises. I was just saying the other day, when is gold glass going to make a come back? The tower portion actually looks like the Jenga Tower that Austin is getting. I can dig the staircase but it's great infill. Nice renderings. Anymore information on this? It looks to have retail on the ground floor. How many stories will this be? This has definitely been scrapped, but good to know that the owner/developer for that land has the appetite for a project of this scale. With it's exposure to the new superblock park, proximity to MATCH and Mid Main, I'd think this will still be a high-profile development even though we may have missed it for this cycle. I think we will see a lot fewer full-block apartment projects, and more high-rise/mid-rise developments that just take up a portion of the block (high-rise maybe full block). Land prices are pretty level right now, but once these new residences move-in and all the amenities fill out, it will be harder to make a Pearl Midtown, or Camden Midtown economical unless you really jack up the rents. I hope Midtown becomes more of a tall downtown! Good insight. I don't mind smaller or less full block developments. We certainly got A LOT this time around. this is such a prime spot for a midrise. I think the yoga studio is the only tenant. I don’t think so. Did you hear something? It’s for sale and will certainly be torn down for redevelopment. No, just your "gone in the next 3 to 5" (days? years?) comment above. Thought you might have seen a demo permit. The block has been listed for sale for about two months per my source. 1.15 acres.